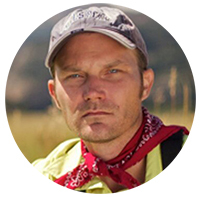 One time, while fishing a local stream with my good friend Karel, tragedy stuck and was narrowly averted. I was standing about knee deep in the water re-rigging, when suddenly, my net slipped out of my wader belt and was mercilessly swept away by the current. I watched in slow motion as it drifted helplessly downstream. I was in a precarious spot and couldn’t really go after it unless I wanted to take a swim. But, in a moment of heroism, Karel leapt from shore into the water and courageously chased it downstream. He eventually recovered it. 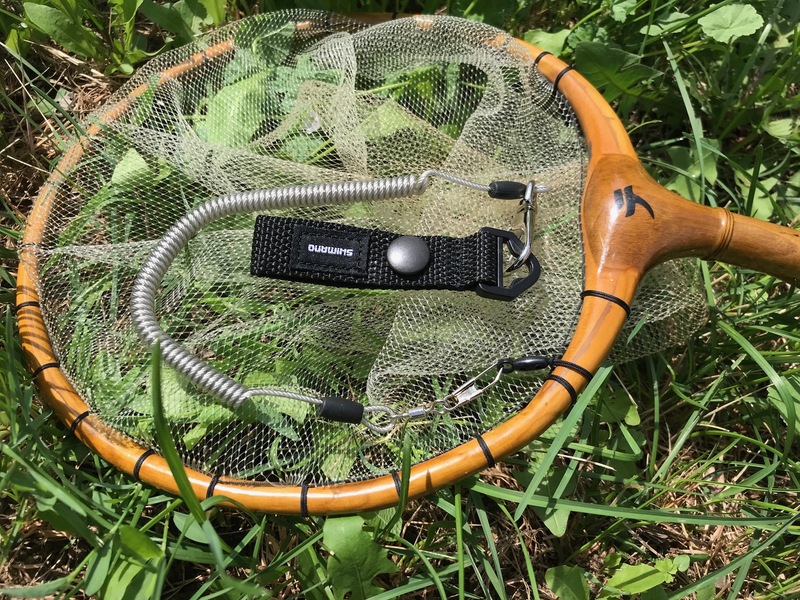 I was happy to have my net back, but it left me feeling like a clumsy amateur. Ever since then, I’ve worn a net leash. A net leash is just what is sounds like. 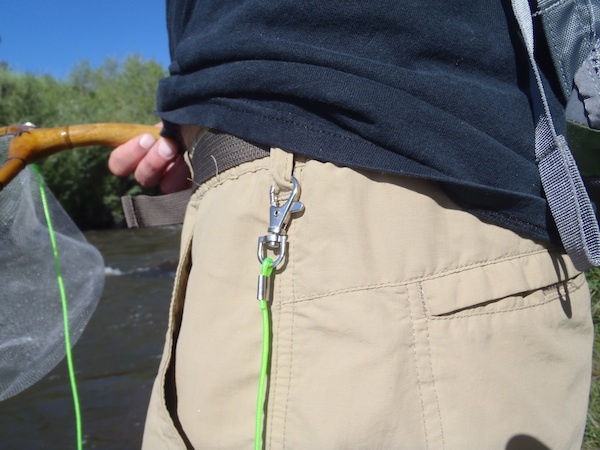 It’s basically a tether that prevents net loss whereby one end attaches to you and the other to the net itself. 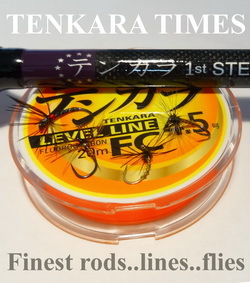 Most western-style nets come with some kind of eyelet in the handle for attaching a leash or a zinger, but many tamo (tenkara style nets) do not. 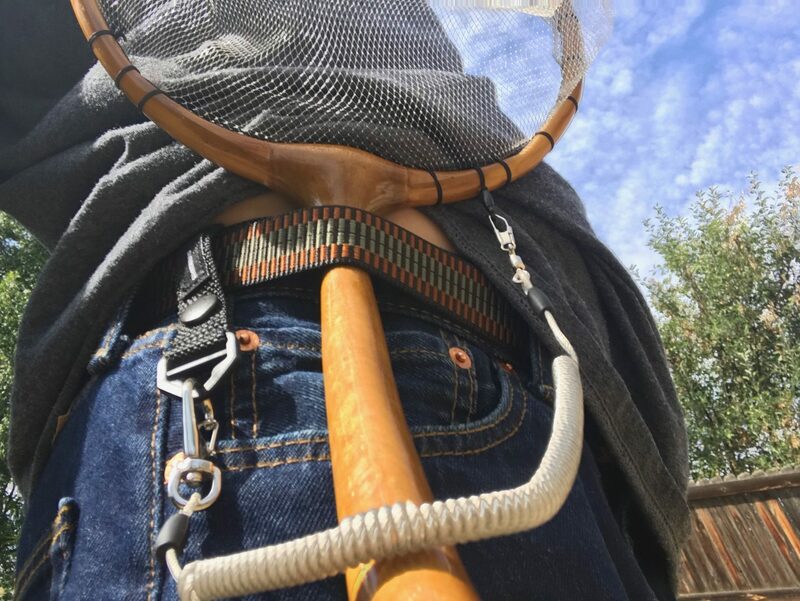 Typically, the leash is attached to the hoop of the net instead. 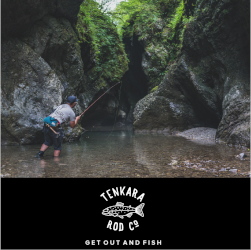 I’ve been using a net leash from Tenkara USA, but due to another embarrassing gear debacle recently (which I won’t go into here), mine got damaged and had to be replaced. 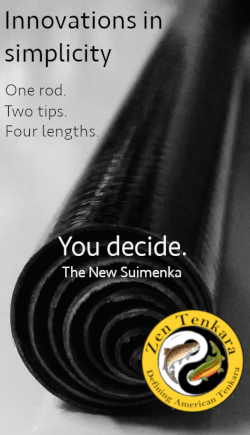 So, I purchased the Shimano net leash from Tenkara Bum. 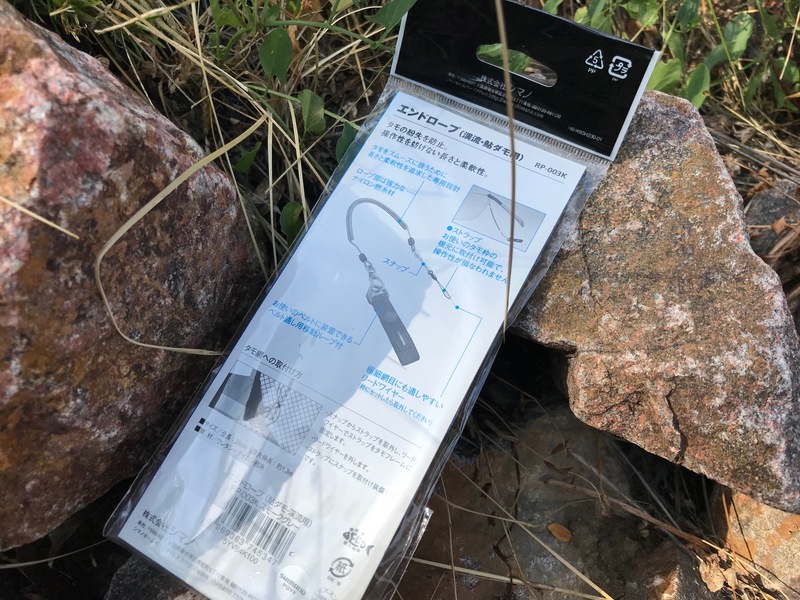 This leash is very high quality and has some unique features not found on other leashes. 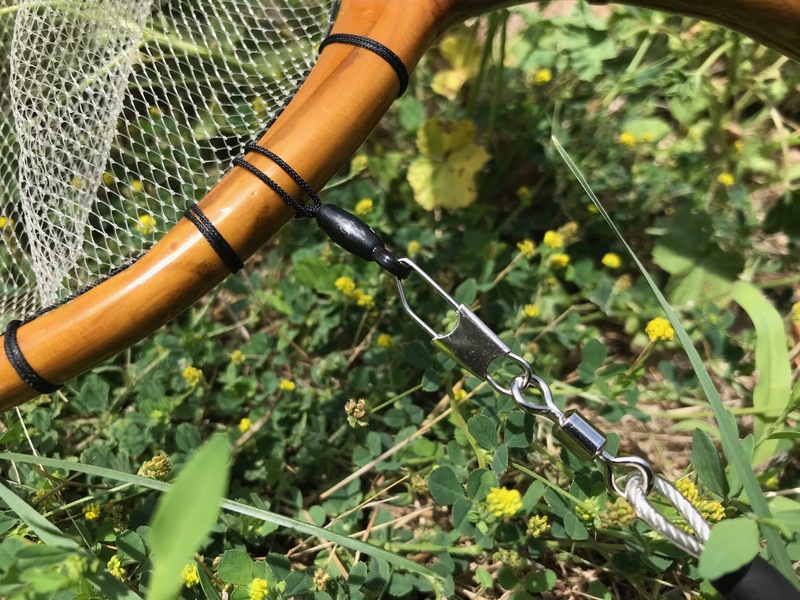 The point of attachment to the net is a snap swivel which prevents twist in the tether and uses a simple girth hitch to connect to the hoop of the net. It’s easy to attach and detach in seconds. 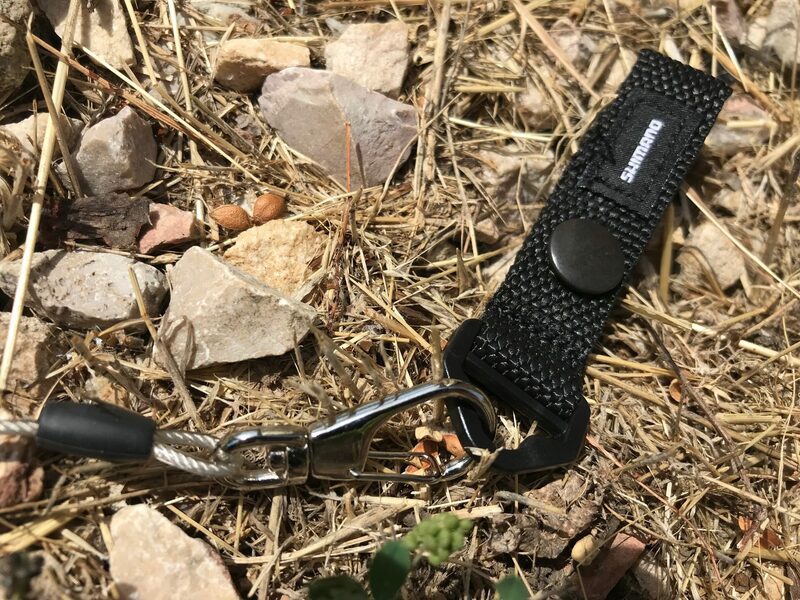 On the other end, there is both a clip and a web loop you can attach to your belt, wading belt, belt loop, pack strap, or a D-ring on your vest giving you many different options no matter what you’re wearing. 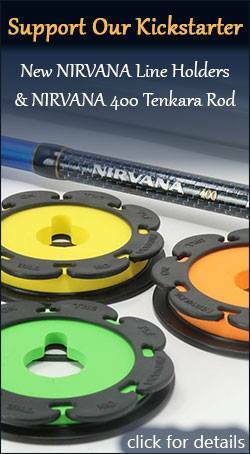 The coil is sturdy, yet pliable enough to stretch to arm’s length with minimal resistance ensuring you will be able to land your catch with minimal interference. I need one of those. I call them “Dummy Cords” since dummies like me lose their stuff all the time. I even have dummy cords on my fly boxes. A practical and very sensible accessory. We’ve probably all lost items to the river god at some time. Never lost a net but I helplessly watched an expensive pair of polaroids in its case rapidly float off down the Stevenson River here in Victoria, Australia. Grown men do weep! It’s a nice cord. 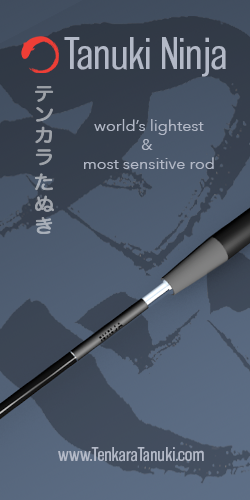 I’ve been using one on my Shimano net for the last couple of years. It’s very robust and hasn’t straightened out or separated, despite some pretty rough treatment. Nice little bit of gear. Good to know it’s out there, should it ever be needed. Also nice to see you posting again Jason. Hope the recent trend is the beginning of good things. these things are great. 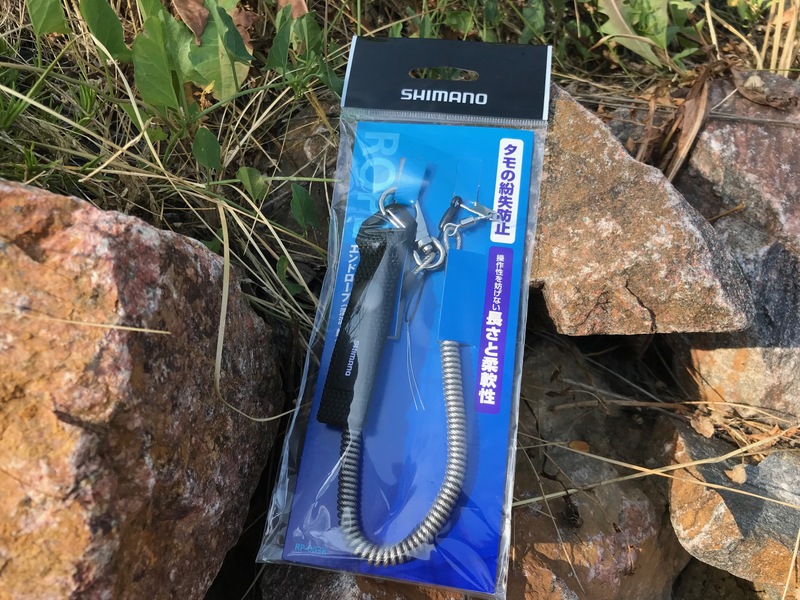 use it with my shimano folding net. love that you can leave it on the belt, while detaching the cord and net.